How do I know my child is ready for school? 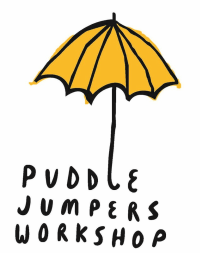 Often, Puddle Jumpers Workshop is a child's first experience away from her parents or in care. Sometimes, a child has been cared for at home, but must adjust to a group situation. Certain skills, such as walking, verbal and nonverbal communication, and self-soothing are critical to adjusting to Puddle Jumpers Workshop. Others are learned at school. Ultimately, only you can decide if the environment is a good fit for your child at this time; we encourage you to use pre-admissions visits as an opportunity to gauge that fit and ask any questions you may have. What is the atmosphere at Puddle Jumpers Workshop really like? "Joyful", "exciting", "stimulating", "warm", "nurturing", "homey", and "chaotic" have all been used to describe our cooperative. On any given day, the mood of the kids can run the gamut from calm to energized to tearful. The important thing is that we expect constant change and develop techniques for dealing with different situations. As you develop a relationship with the other children, you will begin to view the challenges of cooperative childcare in a new, often anticipatory, light. Does my child have to be on a "schedule" to attend Puddle Jumpers Workshop? Because they are being cared together, the kids naturally evolve into a shared schedule. Snack, meal, potty/diapering, and nap times are set, so children adapt to them surprisingly quickly. It is helpful if your child has made the transition to one daily nap prior to attending Puddle Jumpers Workshop. Does my child have to be toilet-trained to attend PJW? No, working parents expect to diaper the younger or non-potty-trained kids, and to deal with accidents gracefully as they happen. However, one of the benefits of attending Puddle Jumpers Workshop is the peer and parent caretaker support for potty training, which often results in early development of this skill. How do I help my child make the transition to attending Puddle Jumpers Workshop? With your inputs, our Activity Coordinators and current members will help you and your child through the adjustment process. Some kids adjust very quickly; others need more time. Some have a hard time at drop-off; others exhibit their dismay in more subtle ways, or at home with mom and dad. The most useful thing you can do before your child's first day is to spend as much time as they need explaining what will happen and helping build their expectations. While parents are expected to do what they must to soothe their child if he displays signs of separation anxiety, experience has proven that prolonged goodbyes, chronically late drop-offs and other potentially disruptive steps do not necessarily aid in the adjustment process. Overall, we approach this transition with compassion and concern for every child. How do kids nap together? Surprisingly well. Although there is a learning curve for some children with regard to sleeping communally, many take to it right away, and few experience trouble falling asleep after a few days or weeks watching their peers curl up on their mats with their personal bedding and favorite stuffed animals. Some kids continue to nap well throughout their Puddle Jumpers Workshop tenure; others go through troubled stages as they might at home. When this occurs, we work through it, sometimes changing the child's sleeping ritual or moving fussy kids to a separate nap room, walking them to sleep in strollers, etc. How old are the children at Puddle Jumpers Workshop? Children attend Puddle Jumpers Workshop from ages 18 months and graduate at three years of age, and our activities are geared toward that age range. From time to time, in accordance with co-op bylaws, Puddle Jumpers Workshop may make exceptions to this rule in order to meet the needs of our families and support the development of our children. Exceptions allowing early admission are usually granted based on observations during visits. If you are interested in your child beginning at Puddle Jumpers before she or he turns 18 months old, please discuss that with the New Member Coordinator prior to your visit. Do I have to work on the same days my child attends? We have designed the program so that you work when your child attends. Occasionally, a parent with alternate childcare may wish to work one or more shifts without their child present. This issue may be discussed with the coop's current members. Can my child attend half-days? Puddle Jumpers Workshop is designed as a full-day program for working parents or parents with full-day childcare needs; we do not offer a half-day program. It is not uncommon to pick up your child early from school, but we highly discourage late drop-offs as a rule because it disrupts the children, coordinators and flow of the day (and make it harder for the dropped-off child as well). Keep in mind that daily evening cleanup is conducted by picking-up parents as well as working parents. At Puddle Jumpers Workshop, we expect all the normal tribulations of toddlerhood to present themselves itself, including pushing, pulling, hitting, material possessiveness and oppositional behavior. When these behaviors threaten to affect other children or hurt the child displaying them, we try to redirect the offending party away from the situation and turn their attention to another activity or object. When children are mature enough, we use brief time-outs in a safe place as a means of giving an upset child space to calm down. Can I bring my baby or other child to my shifts? At this time, our policies do not allow working parents to bring a newborn, baby or other child with them to work shifts. Although this decision was a difficult one, experience has shown that it is in the best interests of the toddlers in our care that they be supervised by people with undivided attention. Occasionally, a parent has attended with a newborn to fill an empty or emergency opening, but we try to avoid this. When a family in our community is expecting a baby, we work as a group to cover or swap shifts, train alternate family members and otherwise support them until they have moved through the challenging newborn period. Siblings are welcome to come with you and your enrolled child at drop-off and pickup times; most kids at PJW are delighted to see babies especially and even come to ask after them when they're not around. My child has special dietary needs. Can you accommodate her? We do our best to address the special nutritional needs of our kids. Allergies are incorporated into scheduling notices; we also maintain an allergy list, providing parents with a message board for daily instructions and encouraging communication about such matters through a listserv and at meetings. Typically, snacks and lunches include three or four food types, enough to satisfy all palates and supply enough food for kids with restrictions. Please be sure to discuss your child's dietary needs and nature/severity of allergies during the admissions process so we can ensure that it's properly communicated and incorporated into our posted documentation and scheduling. When is best time to apply to PJW? The earlier the better. Your child can go on the waiting list, pending a successful application, at 16 months of age. This will put you in the strongest position to get an open spot when your child turns 18 months and is eligible to attend. It takes an average of two months from attendance at an Open House to acceptance onto the waiting list. We recommend that you try to attend the Open House closest to when your child turns 14 months old. Children can be on the waiting list from 16 to 24 months of age. Who can I bring to the visit? Two adults may visit along with the child (or children) applying. The parent or caregiver who will be working the shifts must attend the visit. No more than two adults may attend the visit—we have a small class size and don’t want to overwhelm the children. How are the visits assessed? The working parents and Activity Cordinator on the shift you attend, as well as the parents you meet and interact with at the drop-off in the morning or pick-up in the afternoon, will all be asked to evaluate your visit. We are looking for how well you engage with the children and the other member families, as well as your appreciation of the cooperative approach, plus the skills and interests you would bring to the co-op. Can I choose the start date and days my child will attend? We do our best to accommodate your preferences for a start date and days of the week you would like your child to attend Puddle Jumpers Workshop. When a spot opens up we go through a matching exercise—assessing the families on the waiting list to find the best fit. The more flexible you are regarding your schedule, the greater your chances of securing a spot. Waiting times vary from weeks to a few months. The average wait time is about two months. Spots open up at Puddle Jumpers Workshop throughout the year—either because a child turns three or because she or he is moving on to preschool. We usually have at least one open spot each month. We typically have the greatest number of open spots in late summer and early fall as children move on to preschool. We encourage you to plan the timing of your application accordingly. Being on the waiting list does not guarantee your child a spot. In some cases your child may age out—this happens when children on the waiting list reach their second birthday and there are no spots opening up in the near future. The New Member Coordinator can answer any questions you have at any point in the process. Why do children leave Puddle Jumpers Workshop at age three? Our policy is that all children must leave by the end of the month when they turn three years old. Most children experience significant developmental changes between 30 and 33 months of age, with the advent of interactive and imaginative play. Most preschools start accepting children who are 33 months to three years old for this very reason. In our experience, most three-year olds are ready to move into a more stimulating and age-appropriate environment.